6 Team orders like Leclerc's made Hamilton "rebel"
8 Norris only rates start of rookie year "six out of 10"
Former racing driver and Formula 1 team owner Guy Ligier has died. He was 85. 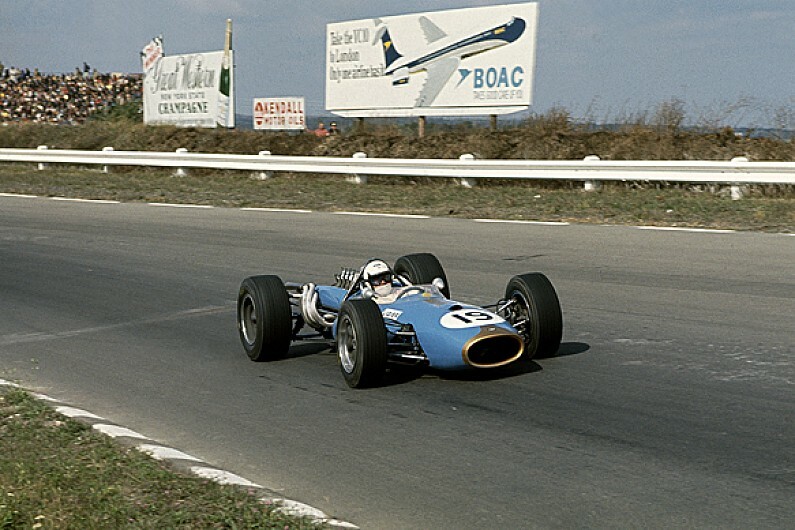 Ligier was born in Vichy in 1930, but it was not until he was 35 that he made his F1 debut in the 1966 Monaco Grand Prix, driving a Cooper Maserati. Prior to that Ligier had started his working life in a butcher's shop in his home town, with his first sporting foray in the world of rowing, becoming champion of France in 1947. Ligier also represented the France B team in rugby in the late 1940s before a number of injuries brought that career to a premature end. Significantly, Ligier moved into the construction business from which he made his early fortune as he played a significant role in helping to develop France's motorway system. Turning to motorsport, Ligier started out on two wheels, winning French titles at an intermediate level in 1959 and '60. Ligier then turned his attention to cars, with his first race in a single seater Elva-DKW in a category known as Formula One Junior, only to incur numerous technical problems that brought that project to an end. After a foray into sportscars, with Ligier competing in the 1964 Le Mans 24 Hours, driving a Porsche 904, he eventually switched to F1. Ligier competed in only 12 grands prix across 1966 and '67, with the death of close friend Jo Schlesser in '68 having a major impact and resulting in early retirement from driving. His best finish was sixth in the 1967 German Grand Prix. He finished eighth, but claimed his only world championship point as two drivers ahead of him in the classification were in Formula 2 cars and ineligible to score. Ligier then moved on into sportscar construction, with his first named the JS1 to honour the memory of Schlesser. He then bought Matra Sports in 1974, enabling him to return to F1 with his own team two years later. 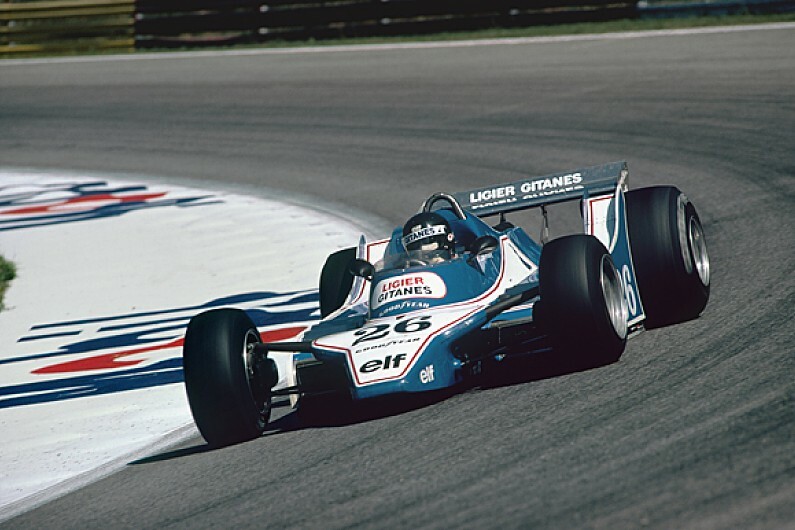 With Jacques Laffite at the wheel, Ligier secured its maiden pole in the 1976 Italian GP, with its first win coming the following year in Sweden. Overall, Ligier competed in F1 through to 1996, with its cars using a number of engines - Renault, Megatron, Judd, Ford, Lamborghini and Mugen-Honda. The team claimed nine poles and nine wins, along with 11 fastest laps, with a best constructors' championship finish of second in 1980. Its fortunes waned through the 1980s, but it famously ended a 15-year win drought with Olivier Panis's shock Monaco GP triumph in 1996. Ligier himself, however, left F1 in 1992, selling the team to Cyril de Rouvre, who in turn sold it on to Alain Prost four years later, the four-time champion renaming the team Prost Grand Prix. With the profits from the sale, the businessman in Ligier moved into the natural fertiliser market, again amassing another fortune, helping him create another venture with the development of the Ligier Microcars. Paying tribute to Ligier, McLaren racing director Eric Boullier said: "It was with great sadness that I heard the news that Guy Ligier had passed away. "As a child growing up in Le Mans, I was inspired and entranced by his iconic and beautiful pale-blue-and-white Ligier Formula 1 cars, driven with panache and aplomb by such French racing heroes as Jacques Laffite, Patrick Depailler and Didier Pironi. "Ligier was a very French team, employing very French drivers, but it was also very successful on the world stage, winning grands prix not only in Europe [Sweden, Spain, Belgium, Germany, Austria, Monaco] but also the Americas [Argentina, Brazil, Canada]. "Guy himself was a tough and uncompromising character, but he was also a racer through and through. "On behalf of all at McLaren, I'd like to offer my sincerest condolences to the family and friends of a great Frenchman. Qu'il repose en paix."